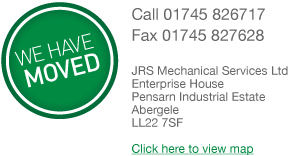 JRS Mechanical Services Ltd design, manufacture, install and maintain building engineering services, working in partnership with consultants, building contractors and end-users. JRS offer building engineering services to clients insisting on the highest industry standards; Our customer base illustrates this with services designed and installed for clients such as NHS Trusts, Her Majesty's Court Services, Police and Fire Services, The Ministry of Defence, Local Authorities and Blue Chip Businesses. We strive to deliver beyond our customers expectations. JRS offer innovative solutions, harnessing the latest technology to deliver turnkey solutions from a value engineering perspective. Green Dragon environmental standard is a manageable way of achieving a recognised UKAS Accredited and Independently inspected Environmental Management System (EMS). We recognize that the actions of our business affect our environment.